Following Premier Li’s visit, Australia must recognize the unlikely opportunity Trump presents for U.S.-China peace. Premier Li Keqiang’s trade-focused visit to Australia followed on from Chinese President Xi Jinping’s historic speech at Davos, where Beijing seemed to take on the mantle of global free-trade champion. U.S. President Donald Trump’s increased protectionism has provided Beijing an opening to reach out to pro-trade nations like Australia. 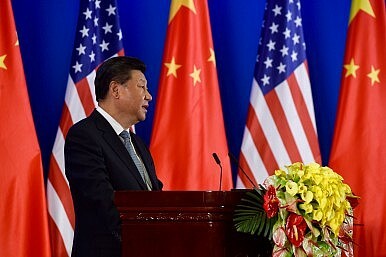 But while most see Trump’s economic nationalism as a negative in Sino-U.S. relations, his corresponding domestic focus and, more importantly, the anti-establishment sentiment that elected him, may provide a morsel of hope in relation to Australia’s biggest foreign policy dilemma – potential conflict between the United States and China. China is steadily converting its growing economic clout into a louder voice on the geopolitical stage. This is seen in its “carrot and stick” approach in the region, combining assertiveness in the South China Sea with economic inducements to both win over and lock in smaller countries like Cambodia, Laos, and Sri Lanka. It’s also seen in Beijing positioning itself in the theater of great power competition that is the Middle East. There China presents as a less judgmental great power partner to U.S. allies like Saudi Arabia, while providing diplomatic backing to the West’s adversaries like Iran. Beijing has weighed in on the side of Bashar al-Assad in Syria, and has called for the establishment of a Palestinian state with East Jerusalem as its capital. In Central Asia, China is partnering with the West’s latest foreign villain-designate, Russia, through the increasingly powerful Shanghai Cooperation Organization. Beijing’s “One Belt, One Road” enterprise seeks to create a line of strategic influence linking Oceania, Asia, Africa, and Europe. All this is expected. In history, no rising power has accepted the prevailing international order, except Japan. It’s natural that China may want to become regional hegemon, or at least equal to the United States. This is driven by an acute historical awareness amongst Chinese policymakers and the public that theirs is a millennia-old civilization, previously a top global economy, humiliated for centuries by the West, now on the verge of a course-correction. China’s increasing inequality domestically provides further political impetus for an external, nationalistic focus. The quest for strategic primacy is also fueled by fear of encirclement by U.S. allies. Beijing feels it needs to reshape its environment to ensure its growth is unrestrained and its security guaranteed. This irresistible force of Chinese ascendance clashing with the immoveable object of U.S. primacy has long been a central fear for Australian policymakers. America has traditionally wanted to maintain primacy in Asia-Pacific and keep the “rules-based order.” Washington has a history of not tolerating competition in Asia. Early signs suggested the Trump administration would increase the likelihood of conflict, including aggressive rhetoric regarding the South China Sea and threats of a trade war. The president’s fragile ego and tendency to resort to public insults, alongside a Chinese government sensitive to any perceived loss of face provided a combustible combination. Subsequently, however, there seemed to be a détente, with Trump backtracking on threats to disregard the One China Policy and to officially designate China a currency manipulator (despite varying rhetoric). A Chinese court also awarded Trump a 10-year trademark for his company’s construction services. This cooldown may harken back to some of the more basic instincts of Trump’s worldview, something that separated him from standard Republicans: his detachment to maintaining the liberal international order via the United States acting as global policeman. In the past, Trump had rejected “American exceptionalism.” He even dared to question NATO. At his inauguration he said “we do not seek to impose our way of life on anyone.” As usual with Trump, however, this is contradicted by his plans to increase military spending and other noises from the administration, including regarding the Korean peninsula. Importantly though, Trump’s non-interventionist attitude played an (albeit small) part in his vanquishing of Republican hawks during the primaries. He appealed to both the Republican base’s thirst for a ruthless crackdown on terrorists and the broader public’s aversion to regime-change wars in countries that have done no harm to America. Populist politicians from both the right and the left of U.S. politics are recognizing that part of the anti-establishment wave includes opposition to foreign adventurism. One of its greatest opponents, Bernie Sanders, was recently found to be the most popular politician in America. This presents a glimmer of hope for countries like Australia who have a central interest in peace between the United States and China. To capitalize, we must understand the reality. We should recognize the multiple power centers within Washington that influence foreign policy; the controversy over Russia that pits Trump against the “deep state” and establishment hawks like John McCain is evidence of this. If the Trump administration evinces an openness to a more consultative approach to Asia, we must work with like-minded Asian countries and offer options for ensuring peace, such as the “Concert of Asia” idea advanced by Hugh White and Coral Bell. It can be highlighted that while protectionism and a trade war with China may be politically popular, a real war to ensure freedom of navigation will not be. Premier Li Keqiang’s visit to Australia symbolized both the opportunities and the risks of the unfolding multipolar world order. To capitalize on the former and avoid the latter, Australia must take a rational look at its foreign policy. We must engage with the United States as an independent friend. Importantly, we must realize that the United States’ global policeman role, which we have supported full-throatedly for decades, is increasingly rejected by large segments of the American people themselves.